Liverpool will meet Bournemouth at 5 pm on Saturday in the 26th round of the English Premier League at Anfield to return to the top spot in the Premier League. Liverpool has suffered recently in the Premier League, drawing 1-1 at Leicester City at Anfield, and then repeating the same thing to West Ham, forcing Manchester City to the top of the table using more matches. Liverpool currently have 62 points equal to Manchester City but the advantage of the goal difference is in the best interest of the champions, Bournemouth is in tenth place with 33 points. Bournemouth is one of Mohamed Salah's favorite victims after Watford has been in the Premier League since moving to Liverpool where he faced three games and scored all of them. The last of those matches were in the first round where he secured 3 home goals in a 4-0 win. If we talk about Liverpool's performance against Bournemouth in the presence of Mohammed Salah, we can not forget that Liverpool kept their net against the team in the three games, after having received six goals in two previous games between the two teams, losing in the first and draw the second, in the past and past seasons . 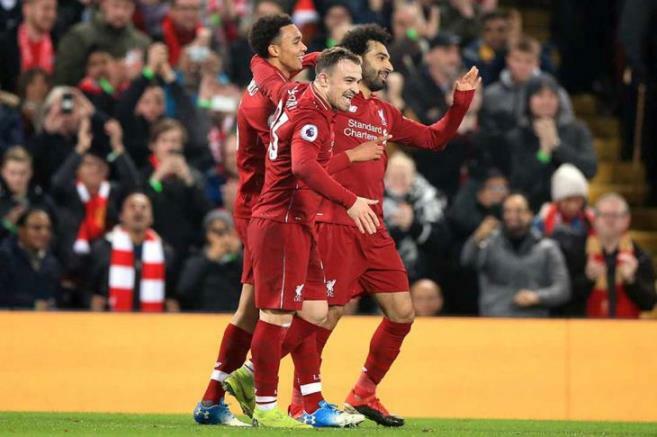 If we talk about the cleanness of the nets, it is worth mentioning that Liverpool have not been able to get out of the nets clean on one occasion during the last six games in the Premier League was in front of Brighton while receiving eight goals and scored 12 goals. If Liverpool wins or draws against Bournemouth, the Anfield will be at the top of the Premier League, waiting for a Sunday clash between Manchester City and Chelsea.